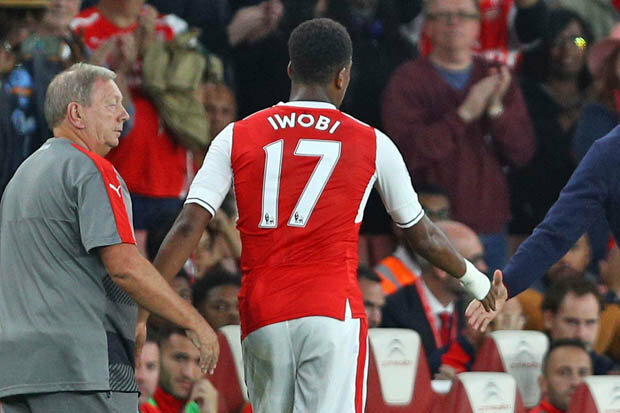 Super Eagles forward Alex Iwobi is to retain his number 17 jersey for the Gunners when the 2018-2019 Premier league season kicks off. Arsenal youth expert Jeorge Bird who gave the hint, further revealed that compatriot Chuba Akpom will wear the number 32 kit in the new season if he is not loaned out or moves to a new team before the close of the summer transfer window. Another Hale End Academy product, Tolaji Bola, will suit up with the number 38 jersey in the new season if he makes his first-team debut. Joseph Olowu, Xavier Amaechi, Folarin Balogun and Bukayo Saka will wear numbers 50, 66, 67 and 87 respectively if they make their professional debuts in the new season. Iwobi wore the number 60 jersey when he made Arsenal’s 18-man squad for the first time in his career back in the 2013-14 season in a League Cup clash against West Brom but made his professional debut two years later with the number 45 kit. The Nigerian international who was part of the Super Eagles squad that went, saw, and failed to fly in Russia remains a formidable force giving a good account of himself last season for the Emirates landlords and posting impressive run in the matches he played for the Super Eagles leading to the world cup as well as the two matches he played against Croatia and Iceland respectively. He became the talking point after the Super Eagles crashed out after losing 2-1 to Argentina in last group match in Saint Petersburg with some blaming Coach Gernot Rohr for introducing him too late into the game.